The closing speed can be conveniently adjusted from the front and the latching action is adjusted by means of the link arm. 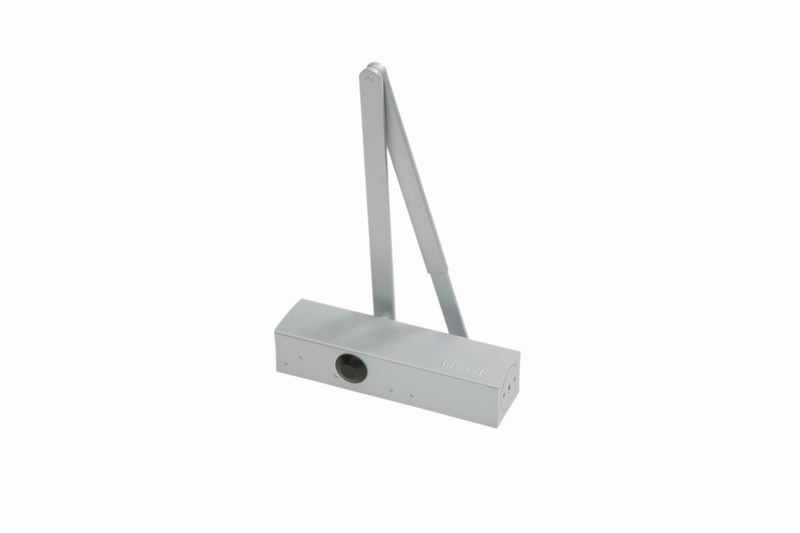 The door closer is available with an optional mounting plate. This makes it suitable for left and right single-action doors without the need for conversion.